While Nigeria is grappling with the ‘headache’ of huge housing deficit, fresh facts have emerged as to the reason the deficit has continued to increase. Specifically, hundreds of housing projects across the country which started several years ago, have been abandoned at various stages of completion. Most of these abandoned housing projects, according to our investigation, were sponsored by the Federal Mortgage Bank of Nigeria, FMBN, through its Estate Development Loan, EDL, window to developers since 2010. The housing estates are located in some of the state capitals such as Akure, Bauchi, Jos, Oshogbo, Owerri, Uyo, Markurdi and Edo among others. While majority of the partially completed abandoned housing estates have been overgrown with weeds, others that are at different stages of development have been neglected by their developers without any respite. From investigation, reasons such as legal impediments, fund diversions, delay in disbursement of funds by FMBN, high prices of building materials, high interest rate on loan, corruption and poor locations, and uncleared exit strategy for some developers from the off-takers’ angle, were adduced by developers for the abandonment of the housing projects. A source from the Federal Mortgage Bank of Nigeria said that loan default by developers and the Primary Mortgage Institutions, PMIs, led to the suspension of Estate Development Loan, EDL, hence the abandonment of the housing projects. The source said that loan defaults by developers and mortgage bankers, amounted to over N100 billion, which the bank has not recovered. Worried by the long abandonment of the projects, Chief Executive Officer of Fesadeb Communication and Promoter of Abuja International Housing Show, Mr. Festus Adebayo, raised the alarm that some of the EDL-sponsored projects of FMBN have been abandoned in many states without completion. He wondered why the Federal Ministry of Power, Works and Housing, FMPWH, could start fresh construction of housing estates, while many uncompleted residential units are wasting away. Commenting through Housing Development Group’s WhatsApp platform, President of Real Estate Developers’ Association of Nigeria, REDAN, Mr. Ugochukwu Chime, listed systemic issues such as undefined value chain and exit strategy coupled with affordability issues as major challenges for the projects’ abandonment. The REDAN boss noted that since 2013 when EDL was suspended, and since 2016 when public developers started developing estates, only few estates have been built. He mentioned that the 200 units of houses built in Bauchi are still wasting, calling for the need for all stakeholders to deal collectively with the systemic issues, define the transaction dynamics, develop a proper interface and exit strategy for the sector to thrive. According to participants from 53 countries of the world at the 8th Global Housing Finance Conference, Chime stated that they identified that most important impediments to increasing affordable housing supply through PPP included inadequate or absent legal or regulatory framework, which represent 29 per cent; lack of political will – 24 per cent; no financing available to developers- 19 per cent; public sector unwilling to partner with private sector- 14 per cent and private sector capability but is unwillling to partner with public sector- 10 per cent. 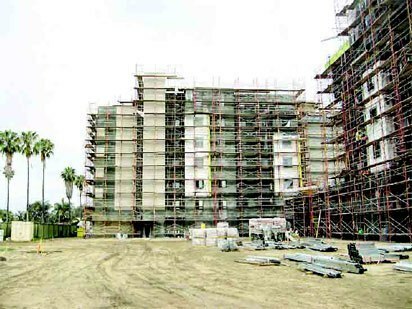 Another developer who identified himself simply as “Pastor Joshua said: “There were hundreds of unoccupied completed and partly completed affordable housing units nationwide, yet, the nation has 17 million housing deficit. He advised that the Minister of Power, Works and Housing, Mr. Babatunde Fashola, should be invited to resolve the cases, tasking developers and all advocates of affordable housing on the need to unite and push for bailout funds for the sector. Another concerned stakeholder, Abel Owotemu, said that the abandoned housing projects would help to reduce deficit if the legal impediments and EFCC related issues around them are resolved.